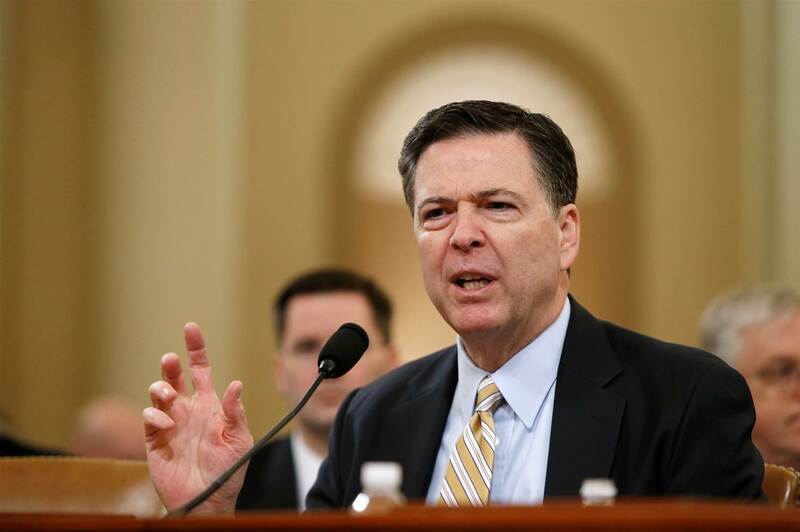 Fired FBI director James Comey plans to testify publicly in the Senate as early as next week to confirm bombshell accusations that President Donald Trump pressured him to end his investigation into a top Trump aide’s ties to Russia, CNN reports. Congressional investigators are examining whether Attorney General Jeff Sessions had an additional private meeting with Russian officials during the presidential campaign, according to Republican and Democratic Hill sources and intelligence officials briefed on the investigation. Sessions has previously failed to disclose meetings with Russian officials. The House Intelligence Committee just approved subpoenas requiring that ex-national security adviser Michael Flynn and Trump personal lawyer Michael Cohen both appear to testify in the investigation into Russian election hacking. In addition, the House approved subpoenas targeting records from the two mens’ businesses, Flynn Intel Group LLC and Michael D. Cohen & Associates. Meanwhile, Flynn will provide documents to the Senate Intelligence Committee and will submit the first batch by June 6, a person close to Flynn said Tuesday. The source said that Flynn’s lawyers alerted the intelligence committee Tuesday that he would respond to the two subpoenas sent to his businesses and would also provide personal documents sought via a separate subpoena after Senate investigators narrowed the scope of the request. A new Monmouth University poll finds that President Trump may not be well-served by his primary spokespeople, but he is probably his own worst mouthpiece. Key finding: 61% of Americans say Trump does more to hurt his own cause when he speaks on behalf of the administration. Just 33% say he does more to help his administration when he speaks publicly. A new Politico/Morning Consult poll finds that 43% of voters want the impeachment process for President Trump to begin, up 5 percentage points from last week. These calls for impeachment are overwhelmingly on party lines. According to the Politico/Morning Consult poll, 71 percent of self-identified Democratic voters think Trump should be impeached, whereas 76 percent of Republicans don’t think Congress should act to remove the president. Trump’s job approval ratings among Michiganders fell to just 12 percent (ouch! ), down from an already embarrassing 18 percent. Josh Marshall: “The most plausible ‘bad’ story behind the Trump/Russia mystery has always been some kind of financial preferment to members of the Trump family in exchange for lifting the sanctions put in place after the Russian annexation of Crimea and subsequent low-intensity incursions into eastern Ukraine. This wouldn’t come out of the blue. It would probably come in the context of some ‘deal’ over Syria or Ukraine or perhaps some agreement about global counter-terrorism cooperation. As I’ve written, there is a more ‘innocent‘ explanation as well. It may not be any quid pro quo. It could simply be years of doing business with Russians and people from other parts of the former Soviet Union which has made Trump inclined to see their needs in a sympathetic light. His hostility toward the sanctions regime could also be driven by the fact that, with his dependence on Russian and FSU investments and purchases, they likely hurt him directly.